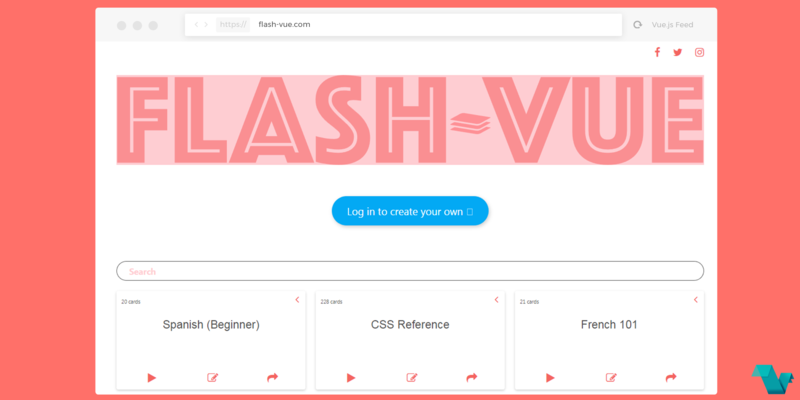 Flash-Vue, is an online educational tool built for learning on the go built with Laravel Vue.js & Bulma. It can help users learn anything with flashcards From practicing vocabulary to memorizing CSS references, Flash-Vue is great for learning through repetition and a nice visual experience. There are already a bunch of flashcards but you can register to create your own sets. While choosing a subject you can search through the cards, mark questions as correctly of false, modify the answer or even share them via social media. Bring learning everywhere! Share your flashcards with a friend!